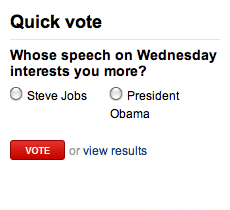 I was simultaneously amused and terrified by this poll. I knew my vote. 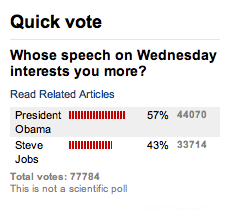 Hell, I knew the right vote, and it sure as hell wasn’t “Steve Jobs”. But how would America at large do? Yes! America ekes out a win!